This article explores the developing definition of moral injury within the current key literature. Building on the previous literature regarding ‘Moral Injury, Spiritual Care and the role of Chaplains’ (Carey et al. in JORH 55(4):1218–1245, 2016b. doi: 10.1007/s10943-016-0231-x), this article notes the complexity that has developed due to definitional variations regarding moral injury—particularly with respect to the concepts of ‘betrayal’ and ‘spirituality’. 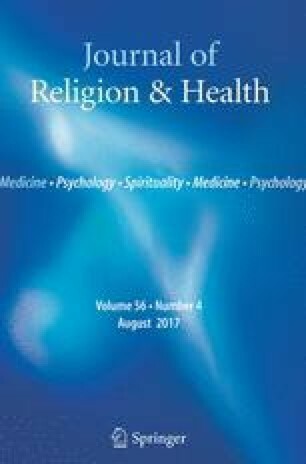 Given the increasing recognition of moral injury and noting the relevance and importance of utilizing a bio-psycho-social-spiritual model, this article argues that betrayal and spirituality should be core components for understanding, defining and addressing moral injury. It also supports the role of chaplains being involved in the holistic care and rehabilitation of those affected by moral injury. Appreciation is acknowledged to Dr. Bruce Rumbold (Palliative Care Unit, La Trobe University, Melbourne), Associate Professor Jeffrey Cohen (Australian Catholic University), Chaplain (GPCAPT) Mark Willis (JHC, Canberra), Dr. Neil Pembroke and Dr. David Pittman (University of Queensland) for their support of this research. The first author is a veteran military chaplain. The second author has served as chaplain within health, welfare, industrial and military contexts and regularly contributes to a wide range of pastoral care research internationally and is ranked by Scopus (May 2017) as 4th internationally with regard to chaplaincy research publications. This paper is part of developing research into Moral Injury being conducted with the support of the University of Queensland Human Research Ethics Committee (Brisbane Australia), the Palliative Care Unit, La Trobe University (Melbourne, Australia) and the Australian Defence Force Human Research Ethics Committee (Canberra, Australia) in compliance with the (Australian) National Statement on Ethical Conduct in Human Research (2015), Canberra: National Health and Medical Research Council. Baker, P. (1991) Regeneration. New York: Penguin (Film: Regeneration also released as ‘Behind the lines’, Produced: Gilies MacKinnon, 1997: 114 minutes. UK/Canada: Rafford films). http://www.imdb.com/title/tt0120001/. Boudreau, T. (2010). The morally injured. The Massachusetts Review, 52(3–4), 746–754. Retrieved from http://www.massreview.org/. Brock, R. N., & Keizer, H. (2015). Moral injury and soul repair. Paper presented at the Moral Injury and Soul Repair Chaplains Conference, Montreat, North Carolina. http://pccmp.org/wp-content/uploads/2013/11/Moral-Injury-and-Soul-Repair-Chaplains-Montreat.pdf. Brock, R. N., & Lettini, G. (2011). How do we repair the souls of those returning from Iraq? Retrieved from http://www.huffingtonpost.com/rita-nakashima-brock-ph-d/the-war-is-coming-home-so_b_1027499.html. Dokoupil, T. (2012, December 3). A new theory of PTSD and veterans: Moral injury. NewsWeek LLC. Retrieved from http://www.newsweek.com/new-theory-ptsd-and-veterans-moral-injury-63539. Maguen, S., & Litz, B. (2012). Moral injury in veterans of war. PTSD Research Quarterly, 23(1), 1–6. Retrieved from http://www.ptsd.va.gov/. Puniewska, M. (Producer). (2015, July 3). Healing a wounded sense of morality. The Atlantic. Washington, DC: The Atlantic Media Group. Retrieved from http://www.theatlantic.com/health/archive/2015/07/healing-a-wounded-sense-of-morality/396770/. Townsend, T. (2015a, April 10). Chaplains on front lines in struggle to heal ‘moral injuries’. The Washington Post. Retrieved from https://www.washingtonpost.com/local/chaplains-on-combat-front-lines-helping-to-heal-moral-injuries/. Townsend, T. (2015b, November 04). Chaplains tending spiritual wounds, Article. The Washington Post. Retrieved from https://www.highbeam.com/doc/1P2-37845766.html. USDVA. (2009). Moral injury. US Department of Veteran Affairs. Retrieved from https://www.va.gov/.